"Energy and raw materials: where will we be in a millennia or two?" 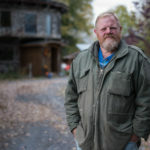 Jim Juczak founded Woodhenge, a self-sustaining community in Upstate New York. He applied his knowledge and experiences to teach and mentor others in the art of environmental sustainability. 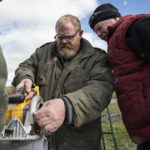 Mr. Juczak is planning to expand the number of workshops he hosts at his property in Adams to a dozen a year. 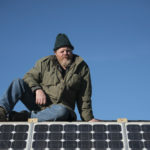 Topics include how to make a wind turbine, how to grow and preserve your own food, and how to build a home for $20,000 or less, among others. "I like to pass on the message that you can live a bit simpler." 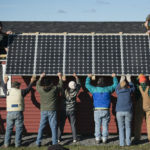 The debt-driven, energy-intensive American lifestyle is not only harmful to the environment; it's also getting more difficult to achieve as oil and other fossil fuels become more expensive, she said. A more self-sufficient and less acquisitive lifestyle can be a rewarding alternative. Get regular news about SWITCH, please join SWITCH's email list here. 06 Jul 2018 July 2018 SWITCH Open Meeting, Ted Hsu Post-election debrief, Sustainable Energy.